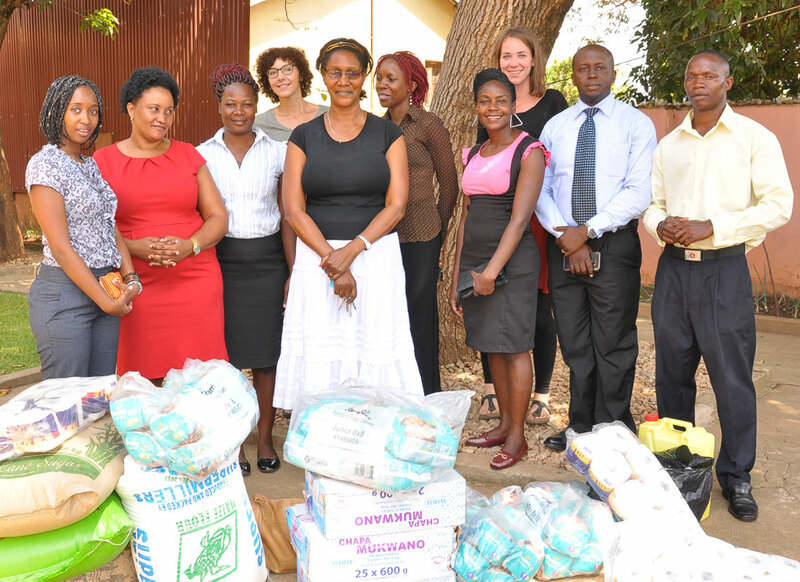 Reaching out to the less fortunate in society: Members of the firm handing over material and financial donations to Wakisa Ministries Crisis Pregnancy Centre for less privileged teenage expectant mothers in December 2016. At Shonubi, Musoke & Co. Advocates, we believe that our profession is a noble one demanding the highest level of business ethics and integrity. We are called to serve as part of our effort to address injustice, inequality and disadvantage within the societies in which we live. As such, we believe that our efforts to consider public interest and social imbalance in and around our community are a major part of our ethos of exceeding expectations and indeed a major part of our corporate social responsibility. To this end, the firm has taken on several philanthropic and community support projects over the years, including the fundraising for the childrens’ orphanage at Nsambya Babies Home, and donating to the Hospital in Entebbe. The Partners and Lawyers within the firm regularly volunteer their time and expertise to serve on the boards on various Non Governmental Organizations working for the common good; as well as participating in community legal empowerment initiatives like the Annual Legal Aid Week that is organized by the Uganda Law Society. In December 2016, the firm made material and financial contributions to Wakisa Ministries, a crisis pregnancy centre for teenage mothers mainly from less privileged families, which is located in Mengo, Kampala.